Heat oven to 350°F. In large bowl, beat sugars, butter, shortening, vanilla and egg with electric mixer on medium speed until light and fluffy, or mix with spoon. Stir in flour, baking soda and salt. 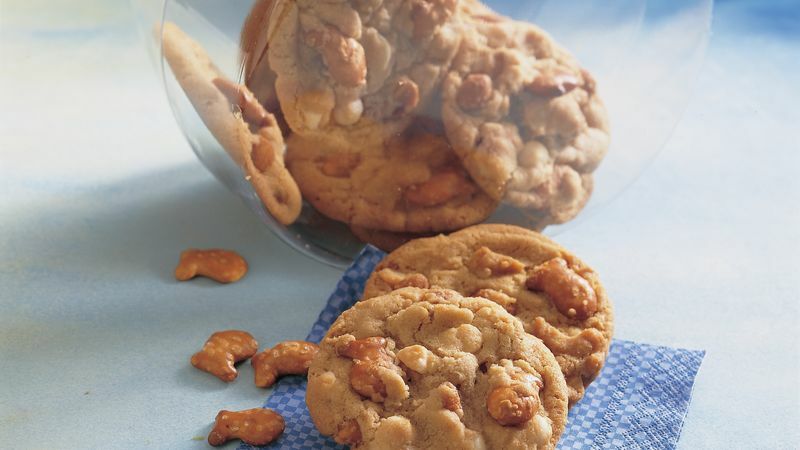 Stir in baking chips, peanuts and pretzels. Bake 10 to 12 minutes or until very light brown. Cool 1 to 2 minutes; remove from cookie sheet to cooling rack.